First place winner to receive advertising valued at over $4,400, plus $500 cash. Sponsored by Xulon Press, the Christian Author Awards recognizes preeminent new Christian authors who are independently published. Sponsored by Xulon Press, the Christian Author Awards recognizes preeminent new Christian authors who are independently published. 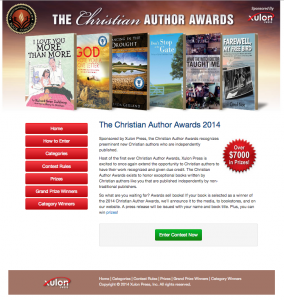 Host of the first ever Christian Author Awards, Xulon Press is excited to once again extend the opportunity to Christian authors to have their work recognized and given due credit. The Christian Author Awards exists to honor exceptional books written by Christian authors that are published independently by non-traditional publishers. Entries must be received by midnight EST on Sunday, December 14th, 2014. The winners will be announced on December 31st, 2014. All category and grand prize Winners will posted to the contest website with a link to each book’s purchasing page. The first place grand prize winner will receive a full page ad in the 2015 BEA and ICRS editions of the Christian Book Browser Catalog ($3,198 value), book placement at both the BEA and ICRS trade shows ($1,198 value), and $500 in cash. Second place will receive a half page ad in the 2015 BEA and ICRS editions of the Christian Book Browser Catalog ($1,798 Value), and $200 in cash. Third place will receive a quarter page ad in the 2015 BEA and ICRS editions of the Christian Book Browser Catalog ($998 value), and $100 in cash. Additionally, the first, second, and third place winners in each category will receive: a highlight ad in the 2015 BEA and ICRS editions of the Christian Book Browser Catalog, and a certificate of achievement. Xulon Press, a part of Salem Media Group, is the world’s largest Christian publisher, with more than 12,000 titles published to date. Salem is the country’s leading Christian communications company with interests in radio, Internet and magazine publishing. 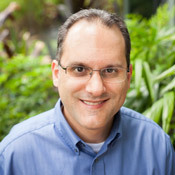 Is there a Fall writer’s competition for the Fall of 2015? Where can I read the details? We run several Writing Contests throughout the year and at least one Book Awards Contest for self-published authors. Keep an eye on our facebook (www.facebook.com/xulonpress) page. We always post on social media when these contests launch. We hope you can enter one in the future!